We’d love your help. Let us know what’s wrong with this preview of The Deeper Christian Life by Andrew Murray. God intends you to have all the blessings of His storehouse, including His free favor, peace in the storms of life, and the power of the Holy Spirit. As your Christian walk is transformed into the happy way of life that God intends for you, you will have the desires of your heart and come to know the joy of God's presence. To ask other readers questions about The Deeper Christian Life, please sign up. This is just SO good that it merits regular reading. (I need to get a paper copy!) His take on the prodigal son's older brother is an angle we don't usually think about. I don't fully agree with his theology of the Holy Spirit, but the overriding message of being in God's presence is one we all need to understand. God is surely rejoicing the moment you accepted Him as your Lord and Saviour. But that's not the end of it, your journey with the Lord is just the beginning and it's going to be tough especially when you got used to living your old life. The moment you accept Christ, you are a new creation. God wants us to have a daily walk with Him. But it lies within our choice. Will you walk with Him? Are you going to let Him lead your life? Will you let the Holy Spirit work within you? The Deeper Christian L God is surely rejoicing the moment you accepted Him as your Lord and Saviour. But that's not the end of it, your journey with the Lord is just the beginning and it's going to be tough especially when you got used to living your old life. The moment you accept Christ, you are a new creation. God wants us to have a daily walk with Him. But it lies within our choice. Will you walk with Him? Are you going to let Him lead your life? Will you let the Holy Spirit work within you? This book may be little, but it is absolutely packed with life-changing truth. I feel I could read this book over and over and still sit back in awe at who our God is! My Christian life was truly deepened through this read. A great little 19th century book on living the "with God" life and being filled with the Holy Spirit. I expect that you, like me, only read books that you hope to enjoy or learn from. If you write starred reviews of these books, then I would expect that you mostly give out three, four, or five stars. I hope, therefore, that you will excuse the frequency of my three and four star ratings. Five-star ratings, however, still owe us their apologies. Most books, the vast undulating majority of them, are not worth reading. Those with two star ratings might be worth the slog if they contain something sp I expect that you, like me, only read books that you hope to enjoy or learn from. If you write starred reviews of these books, then I would expect that you mostly give out three, four, or five stars. I hope, therefore, that you will excuse the frequency of my three and four star ratings. Five-star ratings, however, still owe us their apologies. Most books, the vast undulating majority of them, are not worth reading. Those with two star ratings might be worth the slog if they contain something specific you wish to learn from them. Those with three star ratings are probably worth at least a page or chapter test to see if they might be the sort of thing you enjoy. And four-star books are likely essential reading, a depressingly cheering thought given the disparity between number of good books and time in which to read them. Five star books should be, at the very least, an unsurpassable exemplar of their genre. Taken on their own terms, measured by their own aspirations, they should exceed every expectation. It would be unfair, after all, to measure any book by what it does not pretend to accomplish. The Deeper Christian Life by Andrew Murray is a five-star devotional book. However you call the genre of Christian life-coaching slash spiritual encouragement, I have not encountered an author of any time period that exceeds Murray as a prose stylist, authentically ardent believer, or trenchant observer of human tendencies and godly wisdom. He speaks as a man of his time, to be sure, but as one who enjoyed fellowship with the Wisdom out of time, though always timely, of the Father, Son, and Holy Spirit. I will reread and probably reread. In His mercy, God begins a good work in us at salvation, of which our willingness will either allow God to continue, until He is ALL in ALL, or hinder Him from working any further. Whatever maybe the state of your Christian life, it points to one of two things: 1) God is fully at work. 2) God is rarely at work. God has offered us the fullness of Himself to us through Christ (Romans 8:32), it is now left for us to empty out ourselves, in order that this fullness can be our experience. And when it In His mercy, God begins a good work in us at salvation, of which our willingness will either allow God to continue, until He is ALL in ALL, or hinder Him from working any further. Whatever maybe the state of your Christian life, it points to one of two things: 1) God is fully at work. 2) God is rarely at work. God has offered us the fullness of Himself to us through Christ (Romans 8:32), it is now left for us to empty out ourselves, in order that this fullness can be our experience. And when it is yours and mine, the world will have a witness that can only be refused by those who are bent on going their own way (2 Corinthians 4:3-4). Andrew Murray is my favorite preacher and author outside of the Bible. I did not find this book as good as some of his others, except the last chapter on Consecration. However, the chapter on Consecration is wonderful and very meaningful. So, I am glad I purchased and read this book. this book is amazing. it's short and to the point, but so powerful. it gives practical steps for how to be filled with the holy spirit. upon hearing these steps I immediately began to apply them. it has brought peace to my days. This book talks about why we don't live an abundant life. He also brings a new look to me of the prodigal son! This book also speaks about the carnal And the spiritual life in the Lord! I love most of his books, his books can also be heard in you tube!! would listen to it there, not a bad read! Some helpful thoughts and considerations from Andrew Murray. Straight to the point. What a man of God! I love it. To be reread. A must read for all Christian people. You will feel the spirit as you read. Andrew Murray knows his stuff. Praise God. This book is EXCELLENT!!! A deep read, but a great one if you are looking to strengthen your walk with the Lord. There's no fuss to the book whatsoever--no introduction, no foreword. And in the first chapter he jumps right in without any gradualness, no cute illustration or anything. I highly recommend this to the Christian who wants to improve their walk with the Lord--honestly and sincerely!!! I liked his other works much better than this one. I didn't agree totally or fully with some of the theology in the last two to chapters (7 & 8). I would recommend his books "Humility" and "Absolute Surrender" before this one. This is a deep read for anyone who wants to deepen their relationship with the Lord. 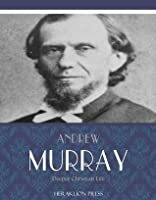 Using the example of Peter Andrew Murray does a beautiful job of showing how a life can be changed and move forward in the process of coming into a deeper relationship with the Lord. I highly recommend it. This is an awesome book! Every follower of our Lord and Savior Jesus Christ should read this! via my Mom...Randomly chose off the shelf during reformation day practice at that church. Not quite as good as I had hoped it would be, but maybe it was just me.